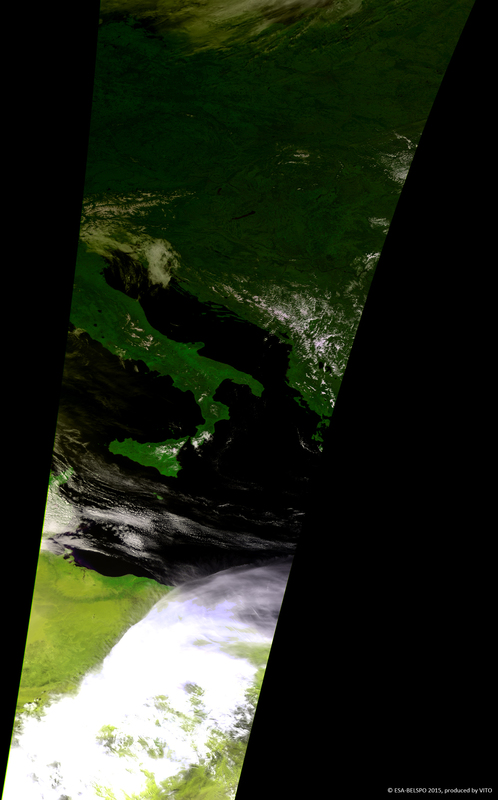 As yesterday’s partial solar eclipse crossed Europe, it was also visible from space. 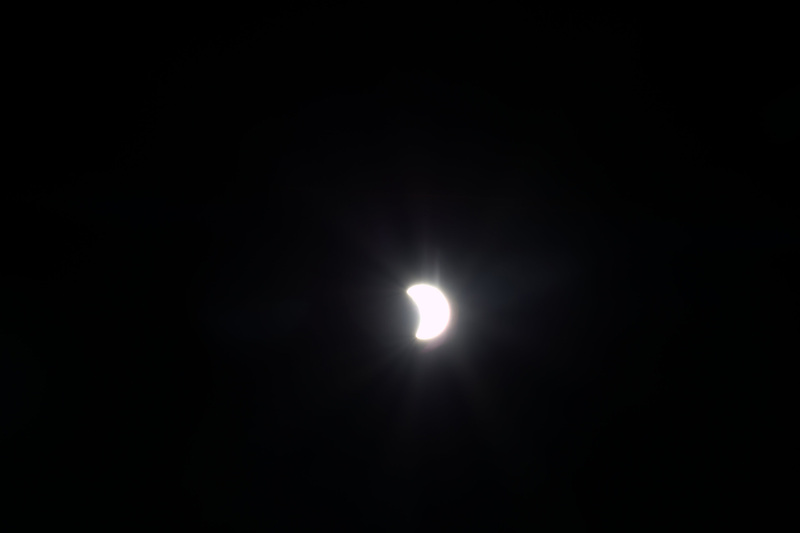 ESA’s Proba-2 captured a near-total eclipse from orbit, at the same time as its sister minisatellite Proba-V peered down to snap the shadow of the eclipse on Earth. ESA astronaut Samantha Cristoforetti also found time while running an experiment to record the eclipse from the International Space Station, and try to track the eclipse’s ‘umbra’ on the ground. During a solar eclipse the Moon moves in front of the Sun as seen from Earth. As their apparent size is similar, the Moon temporarily blocks a significant part of the Sun’s light. The whole of Europe experienced a partial eclipse this time: 100% of the Sun’s disc was obscured over Norway’s Svalbard islands, 97% from the north of Scotland, 84% over London, 81% over The Hague, 75% over Paris, 65% over Madrid and 56% over Rome. ESA had eclipse-viewing events at Space Expo – the visitor centre for its ESTEC technical centre, in Noordwijk, the Netherlands, as well its ESRIN Earth observation site in Frascati, Italy. The path of ‘totality’ – where the Sun is completely blocked – traced a small band across the North Atlantic, including the Faroe Islands and Svalbard, the latter home to an ESA ground station, and hosting an eclipse-spotting expedition for the occasion. 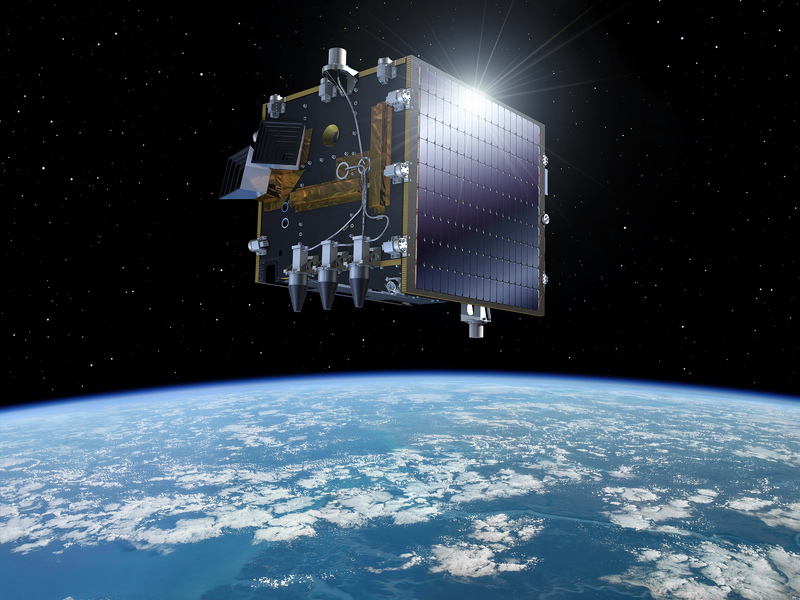 ESA’s Proba missions are among the smallest satellites ever flown by ESA, each one smaller than a cubic metre. They are technology demonstrators with important science goals. Proba-2, launched in 2009, monitors the Sun and space weather. One instrument images the high-temperature surface of the Sun and its surrounding corona at extreme ultraviolet wavelengths, while another tracks overall solar radiation levels. Proba-V, launched in 2013, has the wide-swath Vegetation camera as its main instrument, acquiring images of all of Earth’s green land every two days. The Proba series began with the Proba-1 hyperspectral imaging mission, launched in 2001 and still operational. 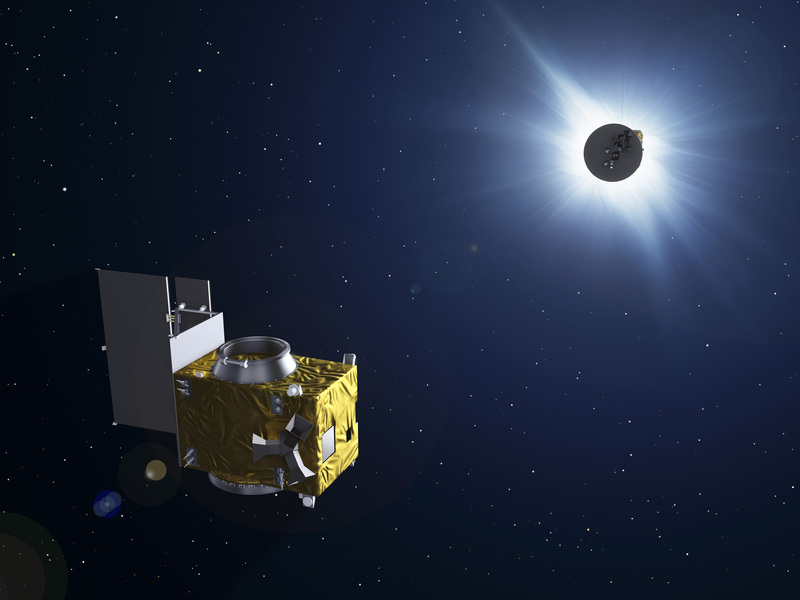 ESA’s forthcoming Proba-3 mission is focused on solar eclipses – not to image them, but actually to create them, between a pair of minisatellites in orbit. Two satellites will be launched together then separate to fly in tandem, going on to experiment with high-precision formation-flying techniques. The Sun is a million times brighter than its surrounding corona, so eclipsing it in this way is essential to study the inner corona. Achieving such a sustained artificial eclipse is a formidable technical challenge, however. The satellites will have to fly 150 m apart, maintaining their separation with millimetre-scale and fraction-of-a-degree precision. Proba-3 is due to be launched in late 2018.